North West Cashmere Association Fleece Show at Oregon Flock & Fibre Festival in 2016! ​HFC Romeo and HFC Quintus received honors as Grand Champion Buck at the NWCA and CNCFC shows, respectively. 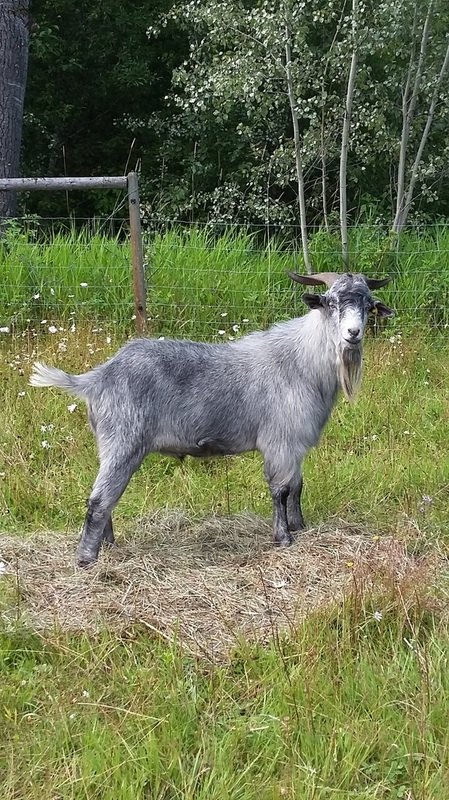 Harmony Farm females SHF Lizzie and HFC Roccio were recognized as Grand Champion Doe in the same competitions. Cheers! 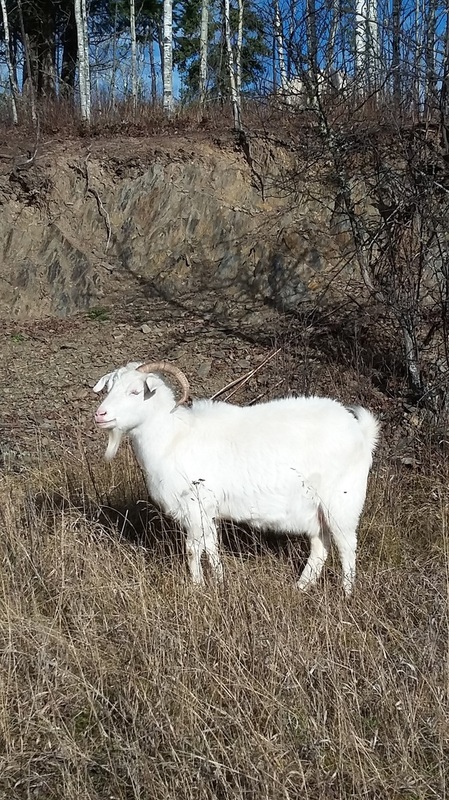 Tubs of fresh Cariboo water and a stand of Canada Thistle are on the HFC house! Harmony Farm was proud to sponsor the Champions at CNCFC 2015, held at Festival TWIST in St. Andre Avellin, Quebec. 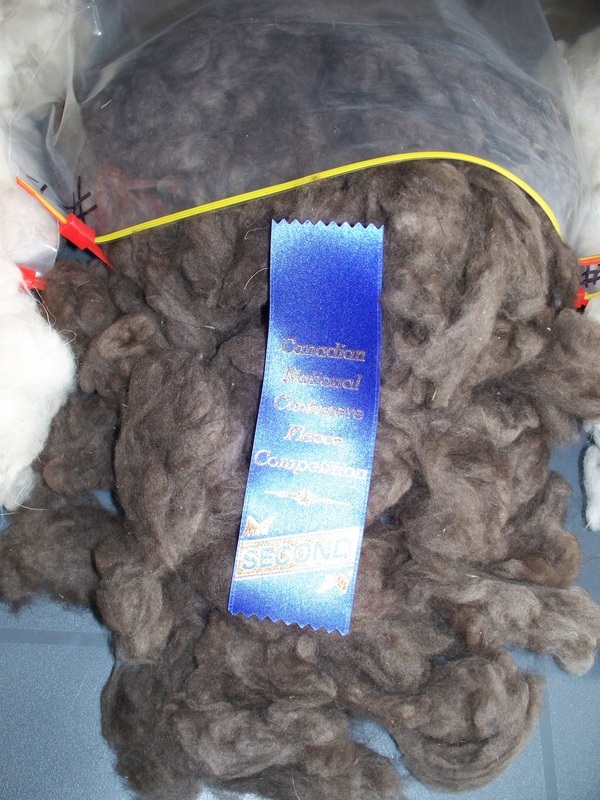 We value the feedback from Wendy Pieh of Springtide Farm in Maine who judged the show at this very fun and busy fibre festival. 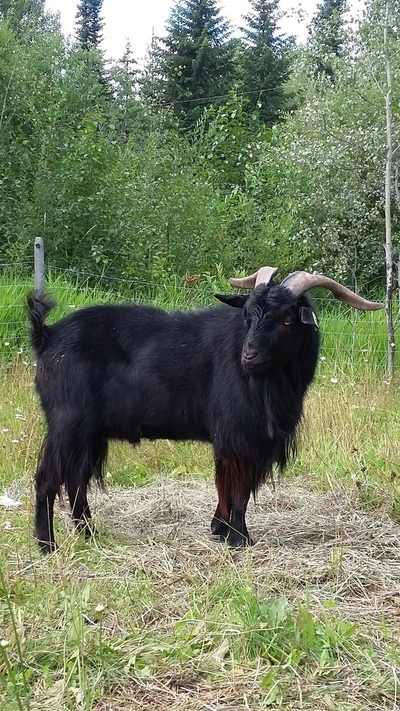 It was great to see such a field of outstanding cashmere fleeces and we are thrilled with our goats, HFC Q68, HFC Qualicum and HFC Might for the place their fleeces earned. 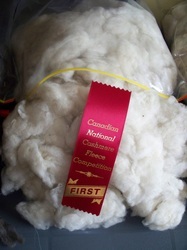 What a great show of fabulous North American cashmere! Harmony Farm is very pleased and proud that our HFC Ntonio and HFC Miracle were recognized by Fibre Week Spinners with the Spinners' Choice awards for white and colored cashmere fleeces. 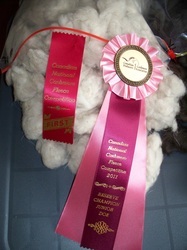 Here are some results from the 2011 CNCFC at Olds College Fibre Week. 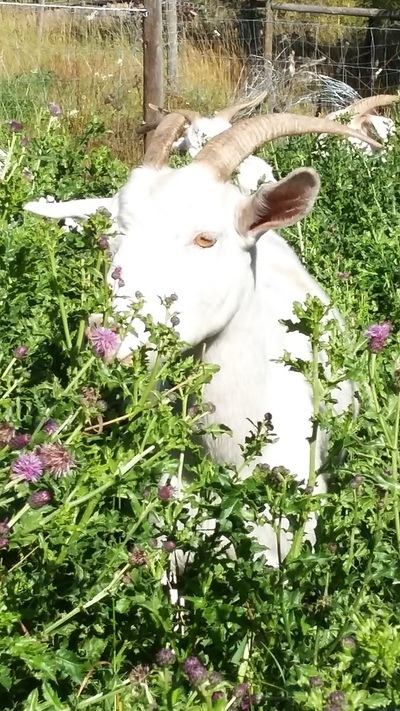 We are so proud and pleased with our girls. 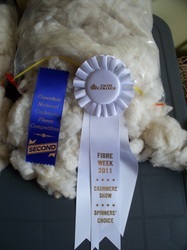 HFC Mouse's fleece was named Fibre Week Spinner's Choice !! felting), and fibre related courses. First Fleece - Ling's fleece placed 3rd in class.